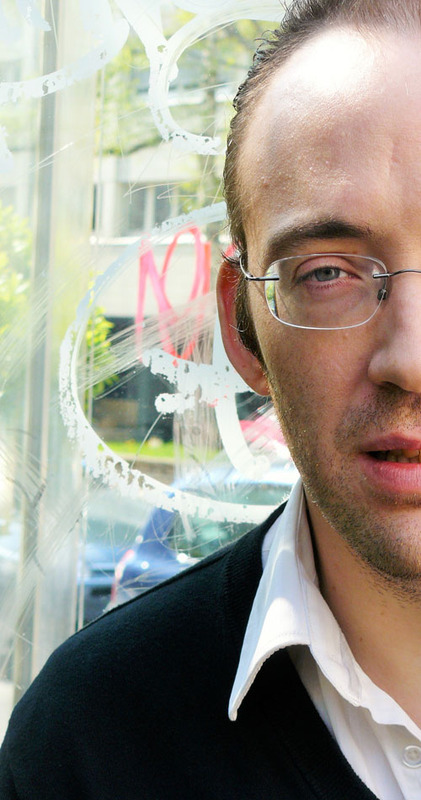 Jérôme Game is a French poet and writer who has written about fifteen books, several CDs (of sound poetry), a DVD (of videopoems), and visual and sound installations. He often reads his lyrics in public and collaborates with artists in several performances (with the electro-DJ Chloé for ’HongKong Reset’, the director Cyril Teste for ’Fabuler, he says’, the choreographer David Wampach for ’ÉCRAN’, and composer Olivier Lamarche for ’DQ’). Her poetry strives to explore the consistency of the real-bodies, language, images, events and stories, collective or individual-through that of signs and their grammars. He has been described as a "composer inside and outside literature, to the rhythm of a text camera and a microphone with stories that disjunct, practicing an elusive language. Go listen to it, you will see the editing of a film that advances from its stops on reading. Go read it, you will visit an installation that is resistant to any definition and withdraws from any decision "(Flora Moricet, Inferno Magazine). Translations, correspondences, appropriations, reinitialisation of processes, cross-border questioning, devices Jérôme Game is a French poet and writer who has written about fifteen books, several CDs (of sound poetry), a DVD (of videopoems), and visual and sound installations. He often reads his lyrics in public and collaborates with artists in several performances (with the electro-DJ Chloé for ’HongKong Reset’, the director Cyril Teste for ’Fabuler, he says’, the choreographer David Wampach for ’ÉCRAN’, and composer Olivier Lamarche for ’DQ’). Her poetry strives to explore the consistency of the real-bodies, language, images, events and stories, collective or individual-through that of signs and their grammars. He has been described as a "composer inside and outside literature, to the rhythm of a text camera and a microphone with stories that disjunct, practicing an elusive language. Go listen to it, you will see the editing of a film that advances from its stops on reading. Go read it, you will visit an installation that is resistant to any definition and withdraws from any decision "(Flora Moricet, Inferno Magazine). Translations, correspondences, appropriations, reinitialization of processes, cross-border questioning, common devices: it is in these gaps that his writing is taken, and remakes itself. He has published in numerous journals and often showed / made listen to his work in France and abroad (recently at the UNAM of Mexico, at the Nanterre-Amandiers National Dramatic Center, at MAMCO in Geneva, in Masnâa-Casablanca, at Taipei Poetry Festival, Amsterdam’s Openbare Bibilotheek, Montreal’s Usine C, Clark Art Institute in Williamstown ...). 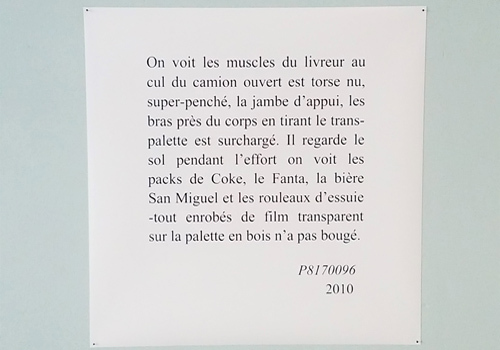 His texts have been translated into several languages (English, Chinese, Italian, Japanese in particular) and is the subject of scenic adaptations (’my sentence took 3 cm more, better, relax’ Yves Arcaix, ’ UFO (S) ’Antoine Oppenheim and Sophie Cattani) and plastics (’ Over Game ’, multimedia installation Alexis Fichet and Bérengère Lebâcle). He is also the author of essays on contemporary aesthetics and its political dimension. He currently lives between Paris and New York, where he teaches cinema. Latest issues: Boarding Lounge (Waiting, 2017), Developments (Manucius, 2015), DQ / HK (Book + 2CD, Waiting, 2013), Under influence. What contemporary art does to literature (essay, Mac / Val, 2012). Last exhibitions: Borders / Borders (Anima Ludens, Brussels, June-Sept 2017), Developments (Friche la Belle de Mai-Festival actOral, Marseille, sept.-Oct. 2015, Atelier la Source of Lion-Festival Masnaâ, Casablanca, April 2015).